Train your brain with 100 (+12) different types of Puzzle Games ! Can't stand Sudoku ? Or actually, maybe you love it, but you’re looking for a change ? These puzzle games are a lot more entertaining and enjoyable, providing similar men...MoreTrain your brain with 100 (+12) different types of Puzzle Games ! Can't stand Sudoku ? Or actually, maybe you love it, but you’re looking for a change ? These puzzle games are a lot more entertaining and enjoyable, providing similar mental exercise. Choose among increasingly difficult and big puzzle levels, save your progress, undo, restart and take advantage of the hints to keep going when stuck. An ideal companion for spare time, with enough variety you’re sure to find at least one game you’ll love. PARKS • Plant the Trees. But not too close ! SNAIL • 1,2,3…1,2,3…Follow the Trail SKYSCRAPERS • Find the Skyline ! TENTS • Each camper wants his shade. But his privacy too ! ABCD • It’s easy as ABC. Well, almost ! BATTLESHIPS • Play solo Battleships. No peeking ! NURIKABE • Walls and Gardens. Well, actually just one Wall and many Gardens HITORI • Shady numbers LIGHTEN UP • Lighten your room, but not the light bulbs ! MAGNETS • Respect the attraction. And the repulsion ! HIDDEN STARS • They must be somewhere, just follow the arrows BRANCHES • A branching alternative to Nurikabe TATAMI • 1,2,3…1,2,3…Fill the mats FUTOSHIKI • A classic in inequalities HIDDEN PATH • Jump and follow the arrows BLOCKED VIEW • This time it’s just one Garden and many Walls FILLOMINO • Number those Parks BLACK BOX • Fire Lasers, Find Atoms ! NUMBER LINK • The Number Connection MASYU • Necklace and Pearls SLITHERLINK • Looping Minesweeper MOSAIK • Puzzler Painter LINESWEEPER • Revenge of the Looping Minesweeper HIDATO • Numbers Maze KAKURO • Sum it up ! CALCUDOKU • Math Sudoku LANDSCAPER • Variety is key ! GALAXIES • Spiraling into Space CLOUDS • Weather Radar ROOMS • Close that door ! DOMINO • Tiles and Tiles LOOPY • Enough Slitherlink ? RIPPLE EFFECT • Mind the Ripples ! BOX IT UP • Boxing Interval WALLS • Maze of Bricks SLANTED MAZE • Maze of Slants ! MATHRAX • Diagonal Math Wiz (… many more !!) 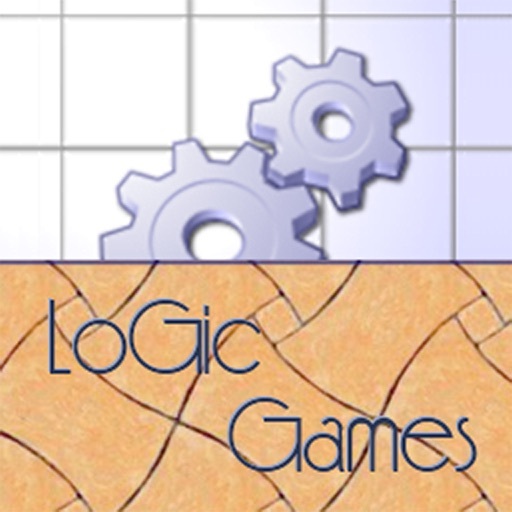 Features: • 10000 puzzle levels • Gamecenter achievements and leaderboards • Pinch Zoom for big puzzles • Auto-save game and quick resuming • In-game rules and solved example • Timed Hints • Note-taking for complex puzzles • Single game progress in list • Single purchase to remove the ads on all devices and get a Quick Input Panel for less taps Have fun !